I hear that having the best players doesn't mean you have a good team. 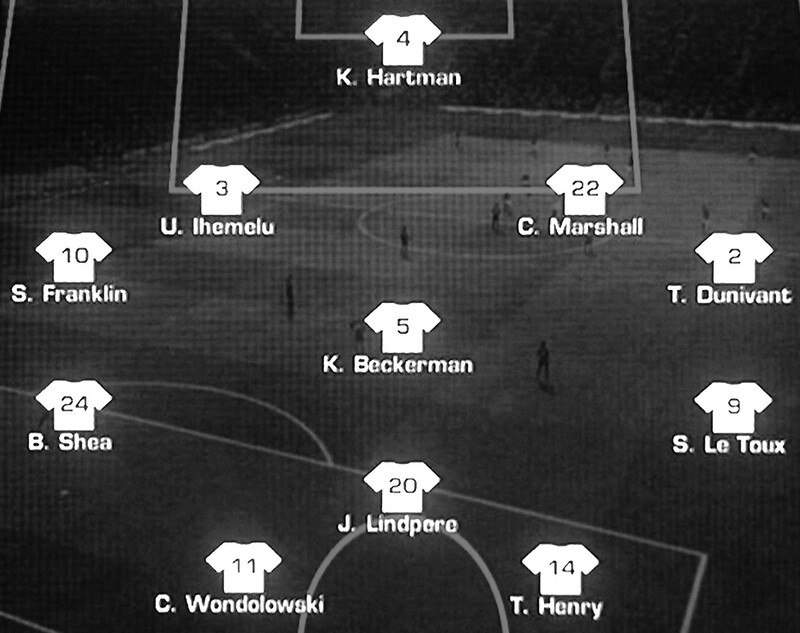 It is fun playing around with the line-ups and trying to find the best formation in FIFA 11. Also satisfying to put my player ranking model to the test in this way. I put the team together just pulling from the top 50 from my player rating list. The line up in the image is the one that worked out best for me. Biggest digital them surprise after playing a few games? How strong the defensive 4 are. Nice work Captain Marshall. The other surprise? Wondo in this game. He's good. UPDATE: MLS FIRST XI announced. 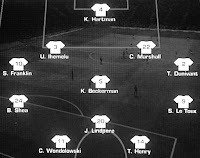 Players with links on the right made that team. My understanding is that the final full team list will be released next Monday.